Alternative keyboard with emoji, theme and wallpapers. Download GO Keyboard app for android. GO Keyboard is great personalisation app with keyboard wallpaper themes, thousands of emoji and GIF. It impresses with solid performance, multiple configuration options and comfortable input modes. It replaces the traditional android keyboard allowing you to type with sliding your finger from letter to letter without removing it from the screen (Swype), along with the tapping on method. Awesome feature of Go Keyboard is the support for many languages, which is presented in forms of word prediction, recognising of characters and changing layout based of the used language. There are integrated dictionaries available which translates you any word any language. Another improvement over the android keyboard is the predictive-text feature. It identifies words you use most often and puts them in easy to input boxes for faster typing. This feature is self learning and the more you use it and better it will become. Developer GOMO Apps has made outstanding work with the customization options for the keyboard. You can change almost anything from size and font of keys and emoticons, to applying photos as keyboard background. There are lots of keyboard apps for Android and Go Keyboard is a must try alternative. What is GO Keyboard? You can browse media content about GO Keyboard on Pinterest, where great images are added every day. Watch how to install and use GO Keyboard videos on YouTube. 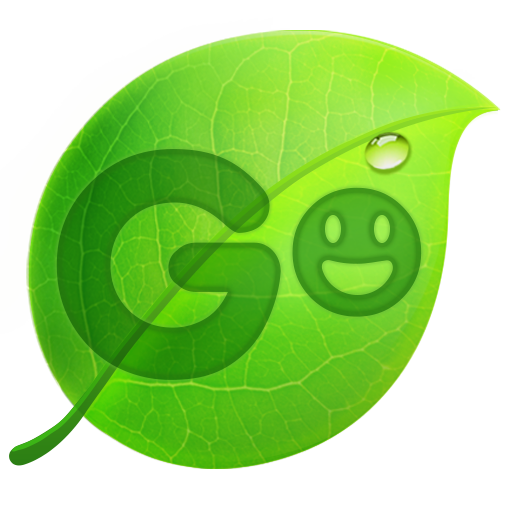 You can also look for GO Keyboard app on Amazon Appstore.